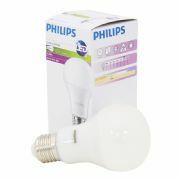 The phase out of the incandescent bulb started in 2009 for the UK with the most inefficient bulbs taken off the market. Bulbs over 100W were replaced with more efficient types such as halogen or CFL. On December 31, 2011, manufacturers stopped production of 100 watt incandescent light bulbs which means there is currently limited supply. In practice, some manufacturers and retailers have found a loophole in the rules so that some incandescent bulbs are still available, marketed as "rough-service" or "shock-resistant" bulbs for industrial use only however it is likely than these will be captured by new rules in line with the governments energy reduction targets. The 100 watt incandescent light bulb has been a benchmark in lighting for many years. It provides a bright light, 360 degree beam and has the highest possible colour rendering index of 100. The only drawbacks are high energy consumption and low life span. As energy prices rise these disadvantages become more and more significant. Until recently there have not been suitable LED bulbs equivalent to the traditional 100W in terms of similar size, similar brightness and similar beam angle. There have been many bulbs marketed as 100W equivalents but unlike traditional bulbs wattage is not an indication of brightness. 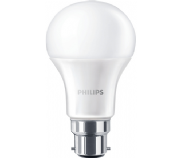 The factor to consider is lumens and according to the Energy Saving Trust 1200 lumens is required to replace a traditional 100W bulb also referred to GLS style. As LED bulbs are directional the lumens required for different types of bulb can vary and in some cases the lumen requirement can be less as some traditional light bulbs illuminated areas such as void ceiling spaces where light was not needed. We select only the best 100 watt equivalent bulbs with a minimum beam angle of 270 degrees and a colour rendering index of 80, to guarantee you will not be disappointed.